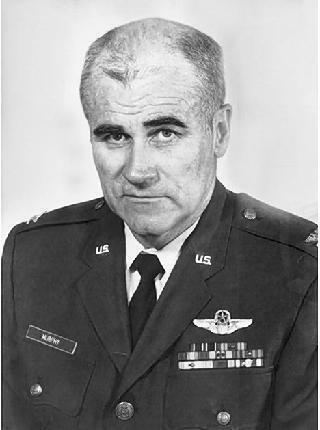 John Barry Murphy, Colonel USAFR (Ret. ), age 84, passed away on August 11, 2016. Mr. Murphy graduated from NC State University, Raleigh, NC with a Bachelor's degree in Mechanical Engineering. He served 30 ½ years in the US Air Force/Air National Guard. During these years, he flew top of the line fighter aircraft, including the F-86, F-100 and F-105s, with over 6,000 hours, mostly in single seat aircraft (jets). He was happiest when he was airborne. Mr. Murphy was an aircraft maintenance officer/director until his retirement from the military. He was a devout Catholic and he lived a full and active life. Mr. Murphy leaves behind to cherish his memory, his wife, Dorothy. Shortly after takeoff for a local personal flight, about 300 ft above ground level, the private pilot of the airplane smelled fuel. 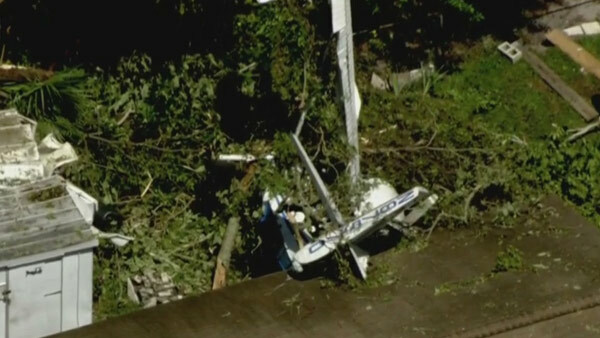 The engine lost all power shortly thereafter, and the airplane descended, collided with trees, and then impacted terrain. An examination of the airplane revealed that the fuel line between the electric fuel pumps and the engine driven pump had a loose connection at the fuel shut-off lever. During a postaccident engine run, when the electric fuel pumps were on and delivering fuel under pressure to the engine, the loose connection did not affect engine operation. However, when the electric fuel pumps were shut off, the engine-driven fuel pump suctioned air through the loose fuel line connection resulting in fuel starvation and loss of engine power. It is likely that the engine lost power during the accident flight when the commercial pilot turned off the electric fuel pumps after takeoff. The airplane's most recent annual inspection was completed about 7 months before the accident. The investigation could not determine if the fuel line had been installed before or after the annual inspection because there was no logbook entry regarding installation of the fuel line. Improper installation of a fuel line by unknown personnel, which resulted in a total loss of engine power during initial climb due to fuel starvation. 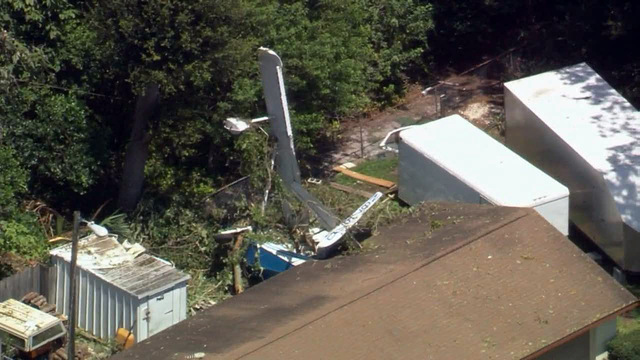 On July 22, 2016, about 0930 eastern daylight time, a Republic RC-3 airplane, N87570, was substantially damaged during a forced landing after takeoff from Gilbert Airport (GIF), Winter Haven, Florida. 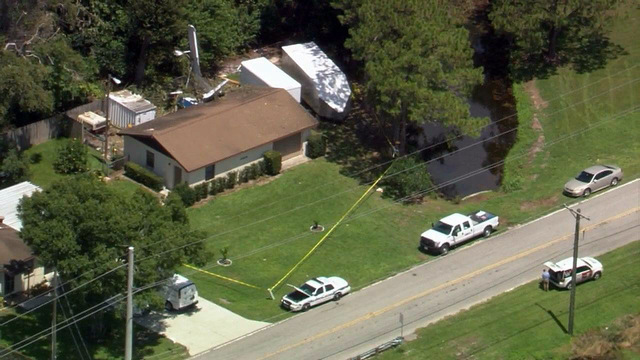 The private pilot was seriously injured, and the commercial pilot was fatally injured. 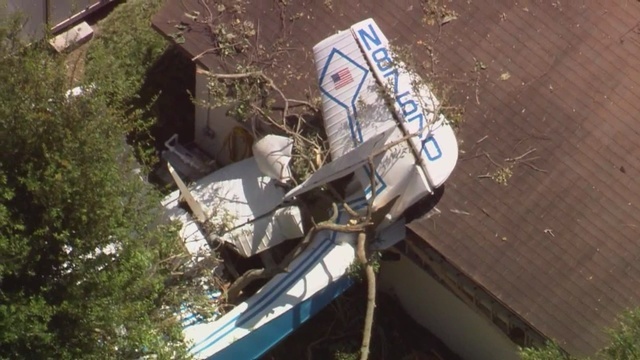 The airplane was registered to the commercial pilot and operated by the private pilot under the provisions of Title 14 Code of Federal Regulations Part 91. Visual meteorological conditions prevailed, and no flight plan was filed for the local personal flight. The commercial pilot died about 3 weeks after the accident on August 11, 2016. About 1 week after the accident, he was interviewed by a Federal Aviation Administration (FAA) inspector and said that the takeoff was normal until about 300 ft above ground level when his wife (the private pilot) told him that she smelled fuel. 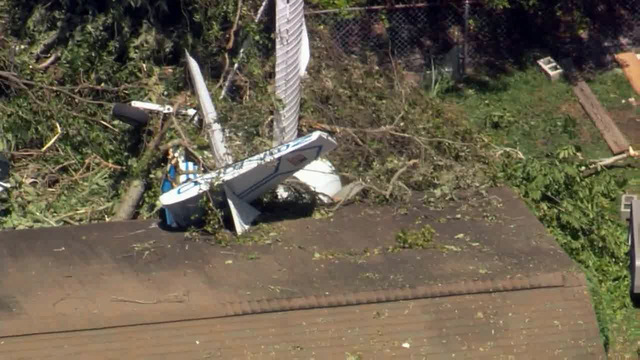 The engine lost power shortly thereafter, and the airplane began to descend and then collided with trees. The engine regained power, but the airplane then impacted terrain and came to rest. He said that he was flying the airplane at the time of the accident and that he was a certified airframe and powerplant mechanic and had worked on the airplane extensively during the time he had owned it. According to FAA records, the private pilot held a third-class medical certificate issued on June 2, 2015 with no limitations. The commercial pilot did not have a current medical certificate. His most recent application for a medical certificate was on November 5, 1983, and this application was denied by the FAA due to his history of coronary artery disease and angina. The four-seat, high-wing amphibious airplane, serial number 137, was manufactured in 1946. It was powered by a 285-horsepower Lycoming GO-480 engine driving a three-blade Hartzell propeller. Review of the maintenance records revealed that the most recent annual inspection was completed on January 11, 2016. The engine had accumulated 1,505.4 hours of total time in service at the time of this annual inspection. 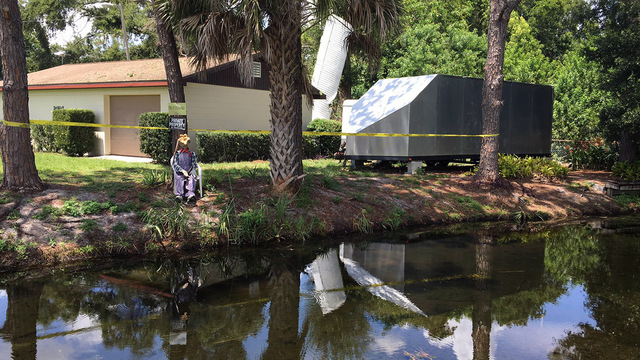 The maintenance records indicated that, on April 20, 2011, an electric fuel pump was found to be leaking excessively. The fuel pump was removed and sent for overhaul. The overhauled fuel pump was reinstalled on May 2, 2011, by the commercial pilot, and the airplane was test flown by the private pilot. Between the date of this maintenance and January 11, 2016, the airplane went through a total of six annual inspections and accumulated 4.0 hours in service. There were no discrepancies noted on any of the annual inspection logbook entries. 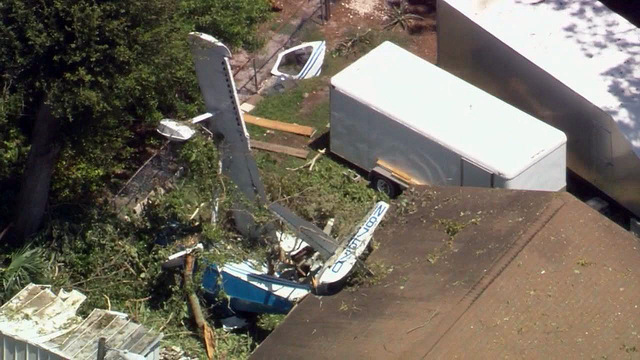 Examination of the wreckage by an FAA inspector revealed that the airplane came to rest between a garage and a fence. The right elevator was embedded in the roof of the garage. The right wing was bent back behind the fuselage and sliced by the propeller blades of the rear-mounted engine. The fuselage was resting on the right side with the left wing pointing skyward. The left wing exhibited impact damage on the leading edge. The airframe and engine were further examined after being recovered from the accident site. The examination revealed that a fuel line with a pressure bulb was installed between the electric fuel pumps and the engine-driven pump. The fuel line was similar in appearance to a marine fuel line with an in-line pressure bulb used for priming the engine. According to the FAA, this type of fuel line was not approved for installation on the airplane. The examination also revealed that three electric pumps were installed in the airplane although the system was designed to have two electric fuel pumps. Per design, one pump was turned on for low fuel flow, and both pumps were turned on for high fuel flow. In the accident airplane, the third electric fuel pump was installed and wired to the low output side of the fuel pump switch. To test run the engine, the airframe was secured to a forklift. The fuel tanks were sampled, and 100 low-lead fuel was found in the tanks with no contamination observed. The fuel gauges operated normally and indicated the fuel tanks were half-full. A new battery was installed for the engine test run. The engine started after three turns of the propeller but lost power after the electric fuel pumps were turned off. The engine-driven fuel pump was removed and inspected. It was found to be in airworthy condition and was then reinstalled on the engine. Further examination revealed that the unapproved fuel line was not tightly secured at the fuel shut-off lever. During operation of the electric fuel pumps, fuel was being delivered under pressure to the engine, and the loose connection did not affect engine operation. When the electric fuel pumps were shut off, the engine driven fuel pump was suctioning air through the loose fuel line connection resulting in fuel starvation and loss of engine power. The fuel line was properly secured, another engine start was performed, and the engine ran without anomalies while being tested at several different power settings. A magneto check was performed, and the magnetos operated normally. 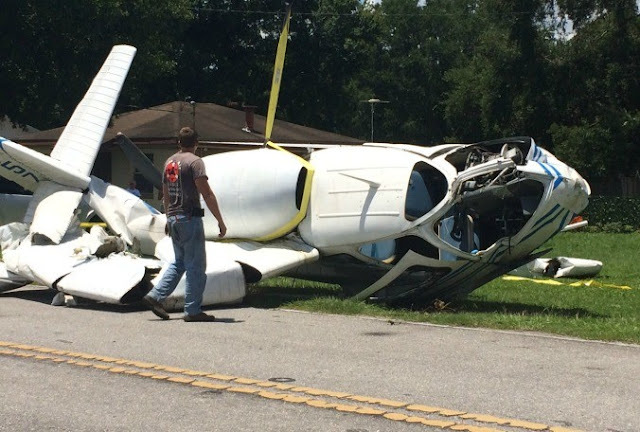 On July 22, 2016, about 0930 eastern daylight time, a Republic RC-3, N87570, was substantially damaged during a forced landing after takeoff from Winter Haven's Gilbert Airport (GIF), Winter Haven, Florida. The commercial pilot was fatally injured and the private pilot incurred serious injuries. Visual meteorological conditions prevailed and no flight plan was filed for the local personal flight. The airplane was operated under the provisions of 14 Code of Federal Regulations Part 91. According to the commercial pilot, who was also the pilot flying the airplane, the takeoff was normal until about 300 feet above ground level, when the non-flying private pilot stated she smelled fuel. The engine lost power shortly thereafter and the airplane began to descend. 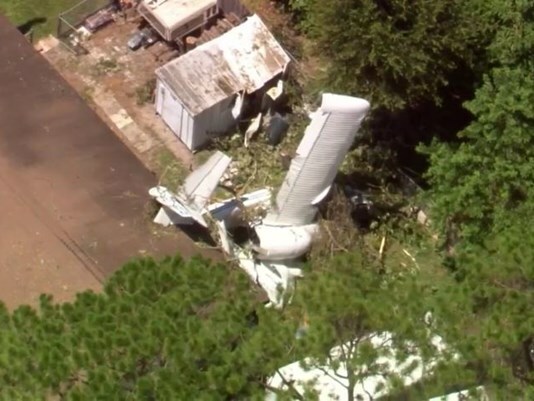 The airplane hit some trees and the engine regained power, but the airplane then impacted terrain and came to rest. 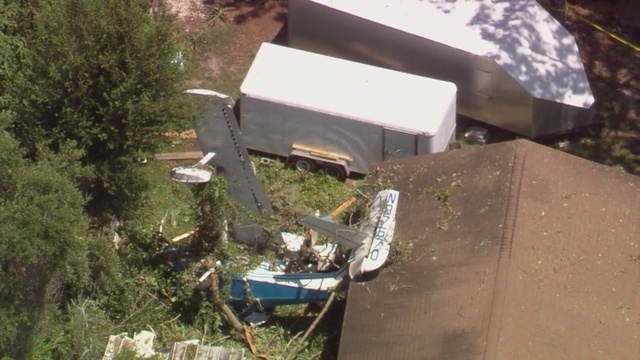 Examination of the wreckage by a Federal Aviation Administration inspector revealed that the airplane came to rest between a garage and fence. The right elevator was embedded into the roof of the garage. The right wing was bent back behind the fuselage and sliced by the propeller blades of the rear mounted engine. The fuselage was resting on the right side with the left wing pointing skyward. The left wing exhibited impact damage on the leading edge.